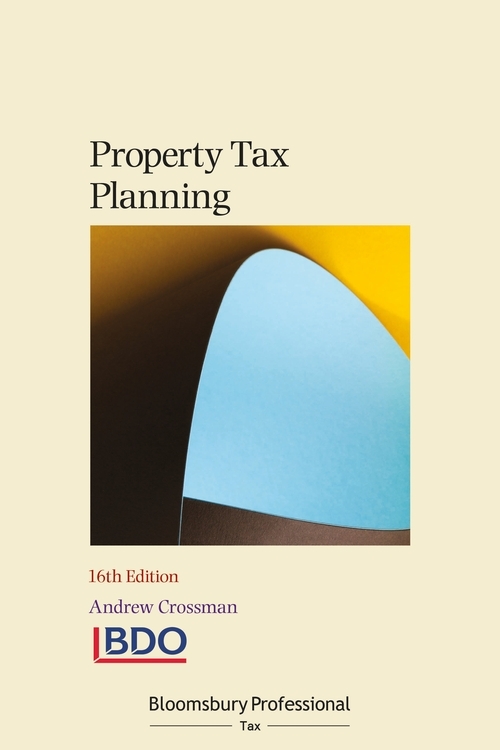 Previously updated by Philip Spencer at BDO LLP, Property Tax Planning, Sixteenth Edition had been revised by Andrew Crossman at BDO, with the support of the firm's expert property tax team. The book is divided into the four categories of property ownership: property investors; property dealers and developers; trading premises and private residences. Within each category all relevant tax planning areas are outlined chapter by chapter, with reference to legislation and case law. Commentary around avoidance practices and HMRC success in 2016 and 2017 with reference to case law.